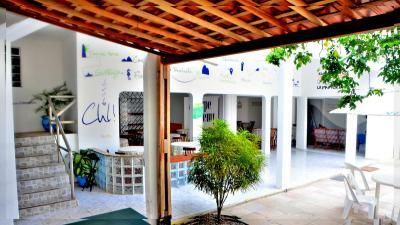 The staff are excellent, the bed is comfortable and the atmosphere of the place is amazing. I`ll be back and highly recommend it. i just LOVED it! 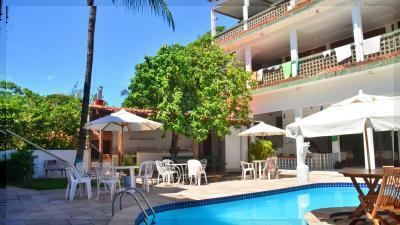 In addition to the perfect location - 2 minutes walk form the beach, the main streets and the bus stop to Recife - there is a very peaceful, joyful and friendly atmosphere. 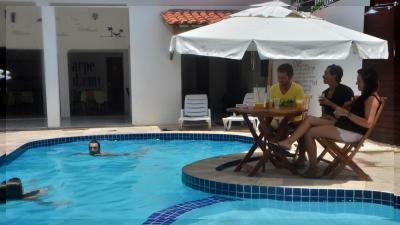 You can do your own or at moments share unforgettable moment with both staff and guests. Everything and everyone make your stay easy and enjoyable! 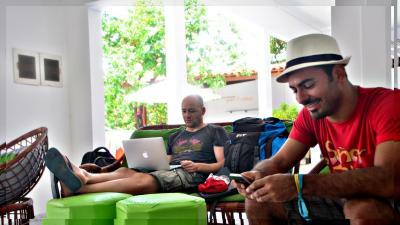 Lockers are safe, the wifi works well, the staff is just exceptionnal, caring of every guest. 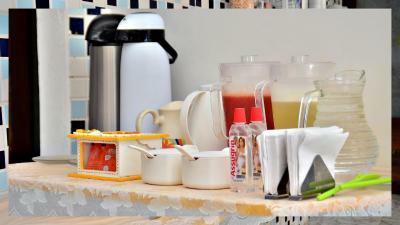 The breakfast is elaborated every morning by the wonderful and smily women staff. I couldn't leave it but for sure I'll come back! The staff, and especially the kitchen ladies do a fantastic job!!! Breakfast was so much better than expected and really good for the low price of the room. Café da manhã bom, atendimento e atenção boa, limpeza e organização do quarto diariamente. Localização ótima a uma quadra do centro e da praia. Buena ubicación en el centro de PDG, amplio lugar de descanso, pileta, tv, sillones... Muy lindo. Buen desayuno, completo. 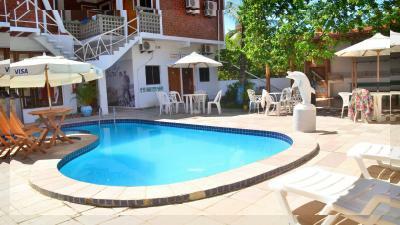 A localização é ótima e a piscina tem bom tamanho e permanece muito limpa. Além disso, eles dão comida e água para os gatos, que são muitos no vilarejo. Excelente la gente las chicas que atienden súper amables! Muy recomendable! Cerca de todo y a la vez muy tranquilo para descansar! El desayuno y la pileta. La atención fue muy buena. O hostel fica a uns 5 minutinhos do centro e isso é maravilhoso! 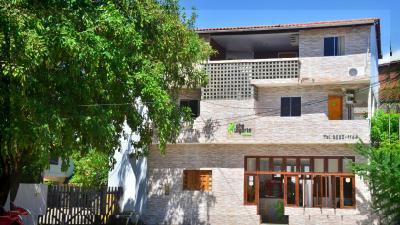 Che Lagarto Hostel Porto de Galinhas is only 1,150 feet from the village center and 1,300 feet from Porto de Galinhas Beach. It offers external lounge areas, and an outdoor pool. Accommodations is provided in shared dormitories with air-conditioning, lockers and linens, and a shared bathroom. Private double rooms are also available. Free WiFi is provided in public areas. 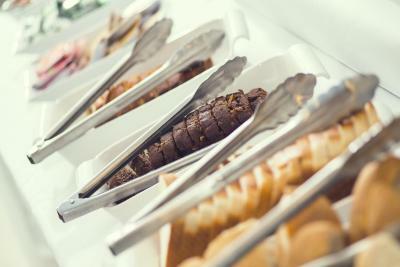 A buffet breakfast is served each morning in the breakfast room. 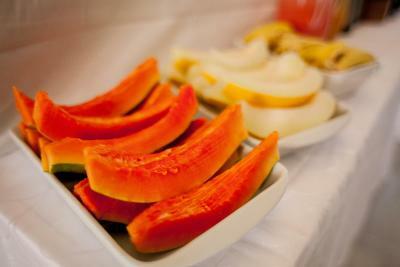 It includes a variety of fresh fruits, breads, as well as a selection of hot and cold drinks. A shared kitchen is also available to guests. 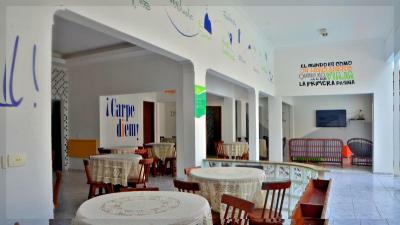 The hostel also offers a shared kitchen and communal lounge areas as computers for guest use. 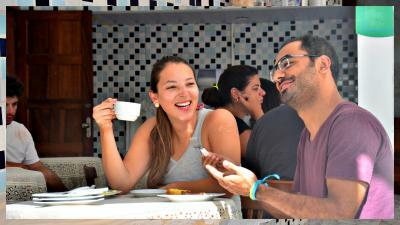 It is 37 mi from Recife’s Gilberto Freyre International Airport. 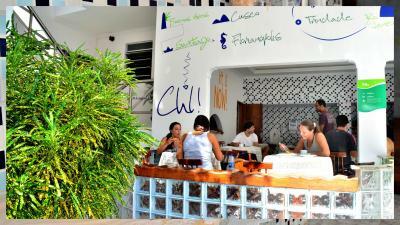 When would you like to stay at Che Lagarto Hostel Porto de Galinhas? This shared mixed dormitory comes with an air conditioning, lockers, linens and a shared bathroom. Towels are not provided. This female-only shared dormitory comes with an air-conditioner, lockers, linens and a shared bathroom. Towels are not provided. This air-conditioned room features a private bathroom with a hot shower. Linens and towels are provided. 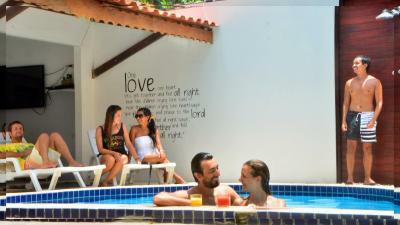 House Rules Che Lagarto Hostel Porto de Galinhas takes special requests – add in the next step! Che Lagarto Hostel Porto de Galinhas accepts these cards and reserves the right to temporarily hold an amount prior to arrival. Reception is open from 07:00 to 23:00. Please note that guests staying in the dormitories will be sharing their room. The kitchen is too dark. Great place to stay, for sure I’ll be back! the pool, the staff, the breakfast. *The air conditioning in the bedrooms are switched on only at 7 pm. so if you want to take a nap during the day you will melt. it is quite hot even because there is only a small window in the room. So they should at least make it clear or provide a fan for day time. *the wi-fi is very bad and there are only two hammocks * I expected the bar would be working but no one was ever there, so only beers could be bought. *people should be allowed to buy their own beers and bring them in *the bathrooms should be cleaned daily.